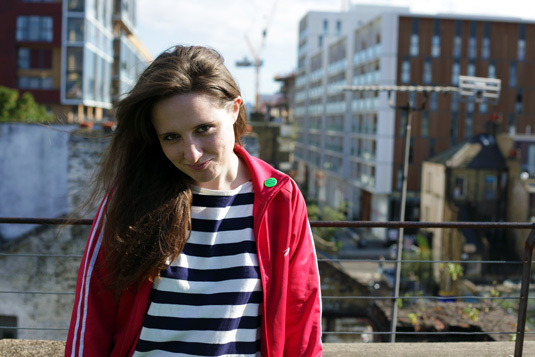 Meet Kirsty Styles a digital journalist and youth activist. A proud Warringtonian, along with Kerry Katona, she is also an enthusiastic dodge ball player and (very) amateur comedian. Kirsty has worked as a media campaigner for Oxfam and as a freelance journalist for local, national and specialist organisations, including The Observer, RockFM and the Sunday Mirror. In a brush with the dark side, or something of an undercover project, she has also worked in advertising. Bringing a bit of street smarts and good old common sense to the world of political thought, Kirsty is an elected youth member of the left-wing think tank Compass. Passionate about social issues last year, Kirsty put herself in the thick of it and appeared on a BBC documentary about youth unemployment, which was screened on BBC3, and also featured on Radio1. And oh, she hates being told that change isn’t possible. This entry was posted in Uncategorized on August 31, 2012 by kirstystyles1.